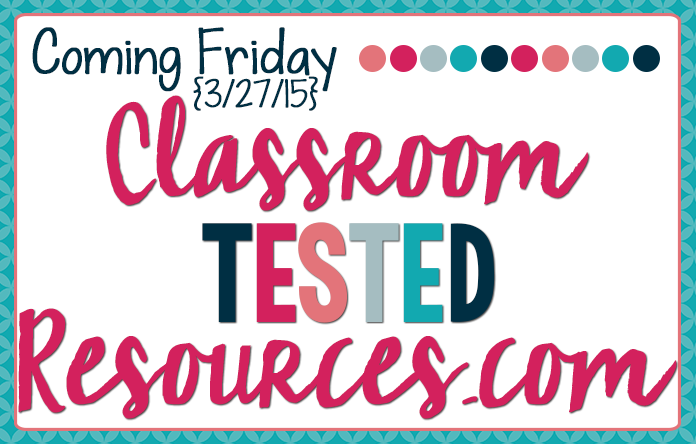 We are all so excited about the launch of our Classroom Tested Resources blog THIS FRIDAY! Here, you will find daily posts with classroom tested ideas, tips, and resources for all elementary grade levels. Follow us on Blogovin or sign up for our brief weekly email update (in the sidebar) so you don't miss a thing! Come back on Friday for the launch and the chance to win one of three amazing Teacher Swag Bags in our giveaway!